I've never really worn red lipstick, all the ones I've tried never look right on my skintone, either leading too cool or too warm on my neutral skin tone. 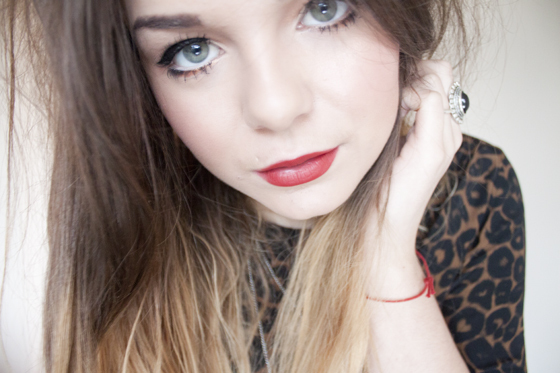 Red lips can also makes me feel a bit too over done as I wear quite dramatic eye makeup. However Revlon Really Red is spot on. The lipstick is a matte true red with slight cherry tone. Its not chalky or drying in the slightest, infact the formula is really rich and has a lovely "suede" like finish, Its one swipe opaque too! I think this shade would suit a variety of skintones, not just ones like mine. It has great staying power and I honestly got a really long wear out of it without re-applying. I love that it doesnt bleed either, I dont own any lip liners so I was really concerned it would bleed and look terrible. But nope, none at all! Overall Im really happy with this Revlon Matte lipstick, I wont be swapping my go-to pink lip for it, but least I have a trusty red that I know suits me for those occasions where something more dramatic is needed. 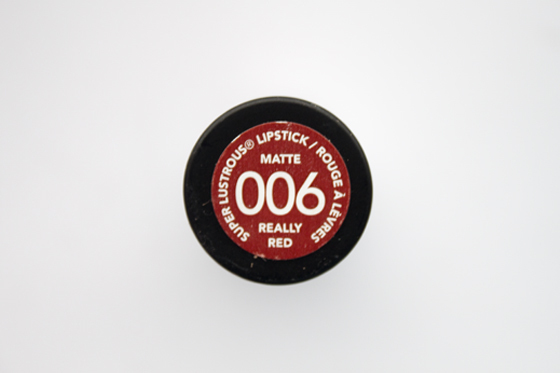 I'd highly reccomend this one if your looking for a nice drugstore red, its on the pricey end of drugstore, but AMAZING quality for the money. Im actually going to purchase a few of the other shades in the Revlon Matte range and will report back on those. i love my red lippy - it suits you! !!! PARTICIPATE AT MY BALENCIAGA GIVEAWAY!!! That color is just amazing...and it looks perfect on you!!! I love the Revlon Matte Lipsticks, this shade looks gorgeous on you! That colour really suits you, you should wear red more! Especially now its christmas :D An outfit to suit the lipstick seems a good idea! It really suits you! I love the colour of it. May have to swing by and pick it up! how do you get it to look so smooth on? Exfoliate first? Good to know it's not drying, I always find thats the problem with matte lipsticks. This colour suits you so well, I love Matte lipsticks! 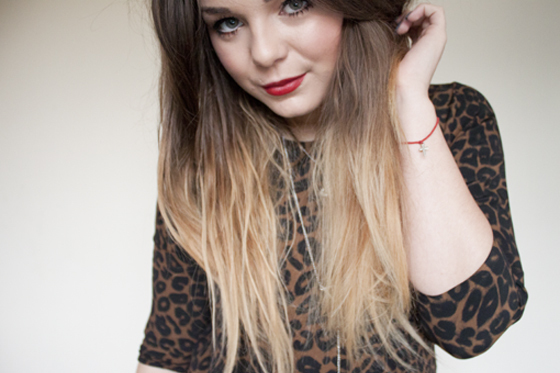 I have this lipstick and I absolutely love it - perfect for the days when I'm feeling brave enough to go for a red lip! I also have Pink Pout from the Revlon matte collection and love that just as much if not more - wear it most days! 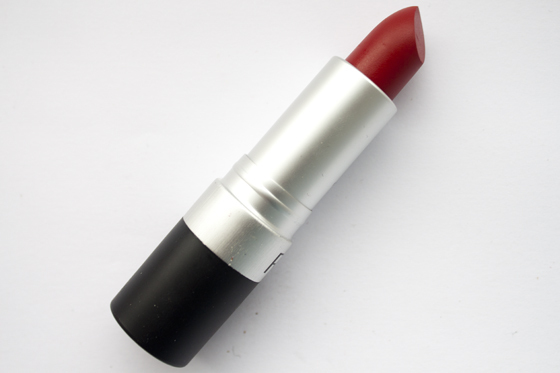 This is a lovely colour, I love red lipsticks. I think any shade looks gorgeous on you! I LOVE Revlon lipsticks! Treated myself to "Black Cherry" yesterday. I liked the complete article…. top notch written,thank you for all of the information you have got furnished. so that it will depart meaningful blog remarks one need to read, apprehend and examine the best friv adventure games.